then complained about some kernel modules and dropped to a shell. Surprised it worked without much effort. Now how practical is this ? not much at the moment as it has no tinkerboard modules installed (no sound, wifi, hw accel etc) - but they could be added back in. 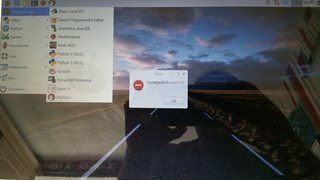 Chromium launched fine, and have connectivity via ethernet. It would sure be nice to have Raspbian for the Tinkerboard. 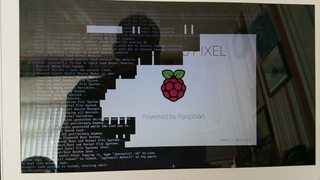 I could run Raspbian-Pixel by injecting TinkerBoard's kernel, modules and u-boot into Raspbian-image. b) to USB card reader, and connect to TinkerBoard USB port. Like @hitsware said - It would be fantastic to get Raspbian kernel working on tinkerboard. getting rid of all the bugs that make tinkerboard fall behind. Or @mikerr, @mt08 - could we get debian/stretch onto it. I have that running on my Pi3s and it is great. raspbian is much lighter and more responsive ..
(08-09-2017, 05:29 PM)mt08 Wrote: Hi. 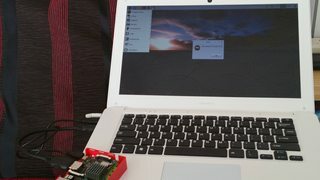 I've updated github and https://qiita.com/mt08/items/5aee9d3f0dc10a1c1c5a for TinkerOS v2.0.5. I guess there are 2 types of working environments which are "TinkerBoard + USB Card reader" or "Raspberry Pi". And this commit-comment shows how to create it. On Raspbian, I could hear the sound from Earphone plug of TinkerBoard with `aplay -D plughw:CARD=OnBoard,DEV=2 /usr/share/sounds/alsa/Front_Center.wav`. And pulseaudio is installed TinkerOS, however, not in Raspbian. Can you(or anyone) try to find the configuration for audio ?